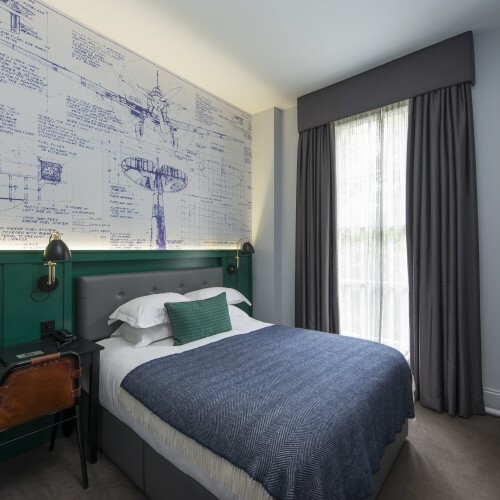 The Four Star Churchill Hotel offers guests a place to stay in individually designed rooms just a stones throw from the pedestrianised city centre of York. 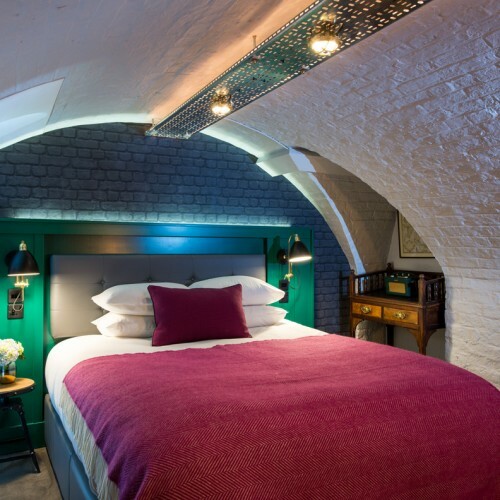 We have a selection of room types to suit all needs and budgets with rooms available in double, twin and family configurations and varying from smaller rooms for the shorter stay up to four-posters for special occasions (see below for further details). 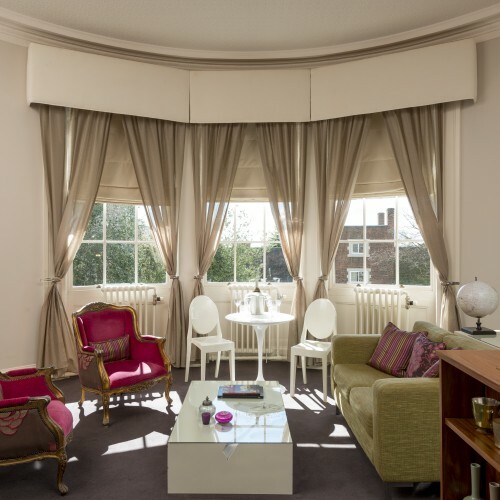 Each bedroom is equipped with HD TV, free wifi, telephone, tea, coffee & hairdryers. Bathrooms vary with a choice of baths, drench showers and some have free standing roll-top baths, all come with a range of Duck Island toiletries. Thinking of booking breakfast too? Click here to view our breakfast menu. Breakfast is freshly cooked to order and is full restaurant service with your choices served direct to your table. Our smallest double bedrooms are ideally suited to comfortable single occupancy but are fine for two people on a shorter stay. All have double beds and are recently redecorated with modern en-suite bathrooms. For a truly memorable stay in the original bedrooms of this Georgian Mansion. Showcasing the hotels finest features together with bespoke furniture & Egyptian cotton linen. 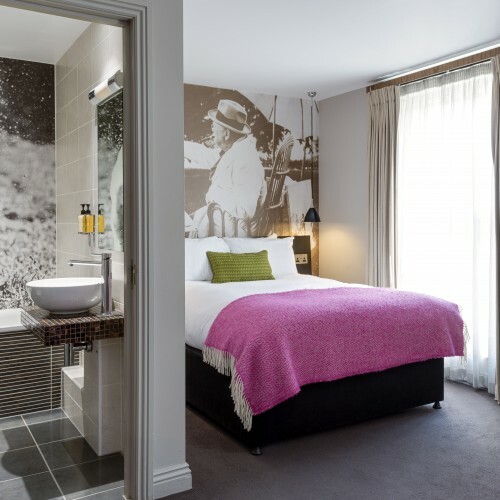 All rooms feature king size 4 poster beds and some have roll top baths. The largest and most luxurious room in the house – once occupied by The Prince of Wales – His Majesty King Edward VII – who stayed in this room when visiting York in 1898. With a soothing blend of luxury, comfort, style and space this beautiful room is the most spacious at The Churchill. 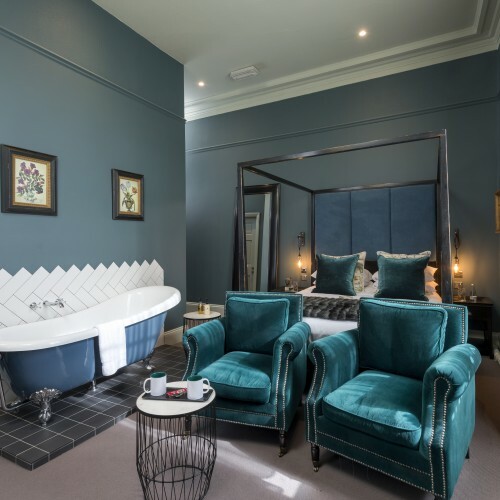 Breathtakingly high ceilings, huge arched windows, bespoke furniture, kingsize 4 poster bed, space for in room dining, free standing copper roll top bath & drench shower. Egyptian cotton linen & Duck Island toiletries. A stunning room for an unforgettable stay.